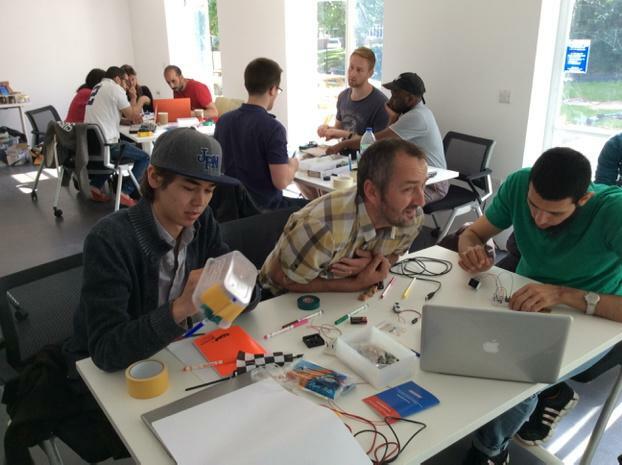 The Informatics and Music departments have joined forces to provide two physical computing workshops in the 2015 spring term. The focus is on input-processing-output mechanisms in micro-robot building, using the Arduino platform. In the first workshop in March we built robots that exuded smell by being touched. The second workshop is open for participation, and here we will focus on modular robot-making, where participants build projects using sensors, motors and physical materials. The workshop will take place in the new Digital Humanities Lab (Silverstone Building) which is the physical lab for the Sussex Humanities Lab.